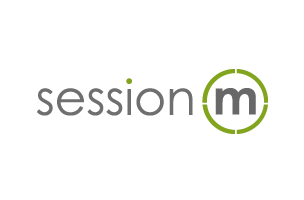 Mobile loyalty and monetization company SessionM has announced the launch of its new user acquisition platform, SessionM OnDemand, aimed at helping developers acquire “high quality” installs without paying the high costs typically associated with these downloads. Using the company’s data from its loyalty platform, which rewards users with real-world or digital rewards based on their activity in supported apps, SessionM can identify the most loyal, active and engaged mobile users on both iOS and Android. According to SessionM, these “power users” represent 80 percent of all in-app activity and revenue. The self-service ad platform is available to any app developer, but those who have previously integrated the SessionM SDK qualify for discounted CPI rates. The OnDemand dashboard allows developers to keep an eye on their campaigns in real-time, and has launched alongside standard display ads. Support for HD video ads will launch on a cost-per-view basis early next quarter. “To date we have focused our efforts on helping publishers recognize, reward and retain their most valuable users. We are now helping them acquire more of these power users on a positive ROI basis,” said Bill Clifford, Chief Revenue Officer of SessionM. More info on SessionM OnDemand can be found on the company’s website.